Soigaon is the famous place in Shariatpur. 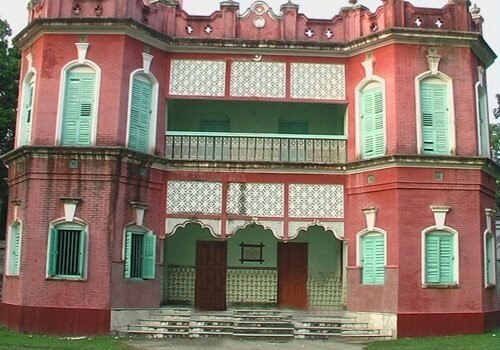 Soigaon Zamindar Bari stands at Soigaon Union in Bhedarganj Upazila. In the time of ‘British Ruling’ there was some famous leader who took part in the Independent War of India. In the time of 1930-1934 there was some British Camp. If you want to go there, first you may go to Bhedarganj Upazila & from there you can go to Soigau Union. It can be said that the communication system of Shariatpur was backward until 1992 definitely. There was only 3 km of road facilities in the district. The street was created as a result of the gradual improvement in the district. However, in every district, union, even with most of the rural road, network has been developed. Different regions of the country to the east of the capital and other districts Shariyatpur travel was the primary cause of water. Kamcarastaya be spies of the public at least 35 kilometers on foot Angaria Latest from the law suit was to launch in Madaripur. Back to Faridpur Sadar, Shariyatpur days would at least some villagers. With the gradual development of the street, was established ebansariyatapure district has reduced the problem. The boats was the main vehicle for rainy season. Before 1950, the region adjacent to the boat janasadharanagayanara Chandpur, Dhaka or in Narayanganj, had to travel. Downstream by boat south of the country, the business was in Barisal. Over time, with boat launches and steamers were replaced. Before bhojesbara, Sureshwar and pattite steamers were Gorge. But does allow the sthaneara steamer. In 1991, the new steamer pattite crowd. SHARIATPUR rainy season, WAPDA Wharf, Angaria, bhojesbara, Naria, bhedarganj, laukhola, damudya, Sureshwar, bandana, and the launch of the space to navigate through different places. Only in the dry season Sureshwar, WAPDA Ghat, laukhola and bandana launch crowd. The bahananauka rainy season. Since the trip was a little easier now going trawlers. In the dry season, however, can move rickshaw through the streets of mud. How many police with all the facilities so you can walk the streets. Shariatpur be done to live up to Sureshwar Madaripur movement. Baby or assessment can be collected from there. Through to the launch of a long time Shariyatpur public capital. Sureshwar dry season, WAPDA Ghat, laukhola and up launches at pattihate reach the masses. The shariatpur Mawa Ghat and mangalamajhiraghata be easily used to pass on. 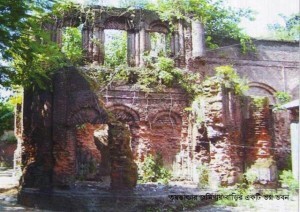 Boro Katra (বড় কাটরা) was built between 1644 and 1646 AD to be the official residence of Mughal prince Shah Shuja, the second son of emperor Shah Jahan. The prince endowed it to his diwan and the builder of the serai, Abul Qasim. The word Katra may have originated from Arabic word Katara which means colonnaded building. It is a historical and architectural monument located in Old Dhaka, Bangladesh.‘Katra or katara’ in Arabic and Persian means ‘Caravan (Karwan) Sarai’ or simply a ‘Sarai’. 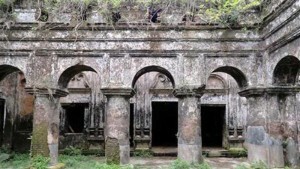 It is a palatial building dating to the reign of the Mughal dynasty in the Bengal region. 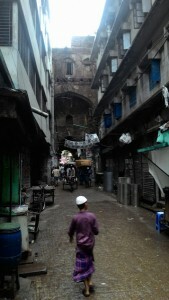 It is situated to the south of Chowk Bazar close to the north bank of the river Buriganga. Architectural Property: The building's architecture follows the traditional pattern of the Central Asia's caravanserai and is embellished as per Mughal architecture. It originally enclosed a quadrangular courtyard surrounded by shops and was overlooked by a row of 22 living cells in each wing. Two gateways were built in the northern and southern wing. The southern wing is a two-storeyed structure and extends 223' along the river. It is marked in the middle by the southern gateway, an elaborate three storied central archway framed within a projected rectangular bay that provides access to the courtyard. The underside of the arched alcove of the gateway is adorned with intricate plasterwork. The wall surface around the spandrels with plastered panels in relief contain a variety of forms such as four-centred, cusped, horse shoe and flat arches. Each wing is two storied and the corners are marked by tall octagonal towers. This is locally named as "Shaha Bari", built by someone rich merchant. The owner of the house left the house during the war 1971 with Pakistan. Before leaving the country, he somehow able to sell his properties. 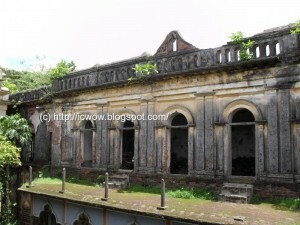 After a few minutes of walking distance from the "Shaha Bari", there is another old house, and this one is much larger. Actually this is the mansion of the local Zamindar of here. This house is currently occupied by the local "Land Survey" section of Madaripur. 4/5 government employees used to work here. Also the old house is using by the families of these employees. From my observation, this building is not that much older compare to other Palaces from Bangladesh. But still this place is worth to visit. Initially the people from there was apathetic to help me, and was curious about my presence here. But after a short talking with them, they started to provide information about this house. And one of the employee guided me to visit the whole Mansion. During the period of Maharaja Pran Narayan "Rsik Ray bigroho" happened in 1634 and in that time the origin of tushvandar Murari dev Ghosal Vottacharjo from 24 porgona/Kolkata's Jay nagar came in Koach bihar and in upuonchouki matter get a taluk anstarted to live here. During that time to do religious work land was given by upenchouki matter. Murari dev disagree to take the donation of the shudro king's beacuse he is a brammon. He appealed to take rent for the land. After that the queen agreed to take paddy bran as rent. Dew to give rent as paddy bran it was stored near landlord house in the east side and after it was sent to the Koachbihar kings house. With this bran many religious events happened in the king’s house. People says that, for the stored bran this place was named as tushvandar. By brammahan murari dev vottacharja the landlord of tushvandar was declared. And in 1935 with his death as long 400 years land owner was came into an end.